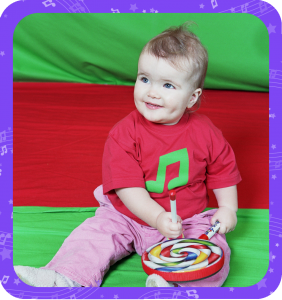 Fabulous fun-filled music for babies and young children accompanied by guitar – because children deserve real music too! 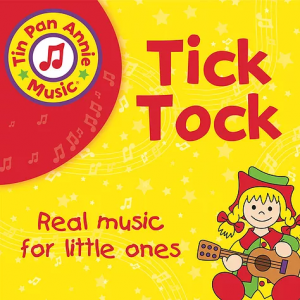 Our classes are jam-packed with action songs and rhymes, both well-known and Tin Pan Annie originals, composed to introduce children to the shape, timbre, dynamics and rhythm of music, so important in the development of language and speech. 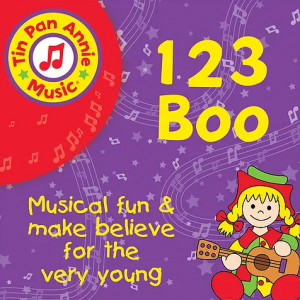 Each week Annie introduces a different theme, made more exciting and absorbing by giant colourful posters, props, puppets and stories that emerge from Tin Pan Annie’s special box as the centrepiece of each class. 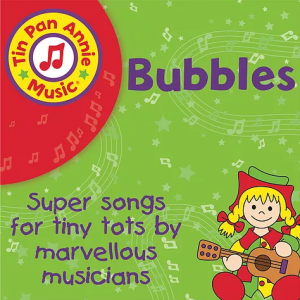 The children love playing along with a huge array of percussion instruments in Tin Pan Annie’s band until Tin Pan Annie waves goodbye in a cloud of bubbles. 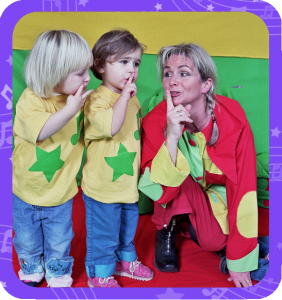 Annie is passionate about the importance of quality live music on the development of babies and young children and believes it is never too young for your child to come and join in. As part of her degree in Physiology and Biochemistry ( and with music as her real passion), Annie conducted research on the effects of music on the developing brain, pre and post-natally but it wasn’t until she had her own baby 24 years ago that she could see just how amazing the effects were. She had been teaching science in Tiffin Girls School , but by the end of her maternity leave, Tin Pan Annie Music had also been born. I cannot rate Annie’s classes any higher. She has that very special magic that makes children love her. I can’t walk past St Barnabas without my children wanting to go in to see Annie and her lovely bright puppets, costume and guitar, and my son’s little bed is covered in her stickers. My second daughter absolutely loves seeing Tin Pan Annie every week just as much as her brother and sister did. 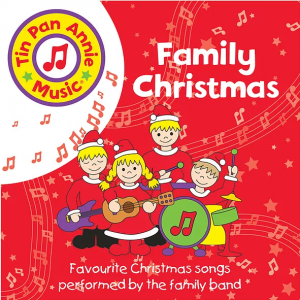 and often Her first word every morning is “Annie Guitar”and we constantly have Tin pan Annie on Spotify. These classes are so full of fun and jam packed that the children are hooked from the moment they run into the hall.